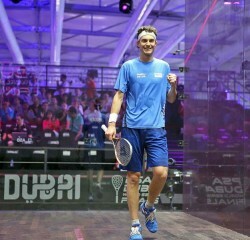 Cameron Pilley, the 33-year-old competing in the PSA Dubai World Series Finals for the first time in his career, became the first Australian since David Palmer in 2008 to reach the last four stage of the lucrative season-ending tournament after defeating Germany’s Simon Rösner 2-0 in a crunch encounter during today’s final round robin matches. 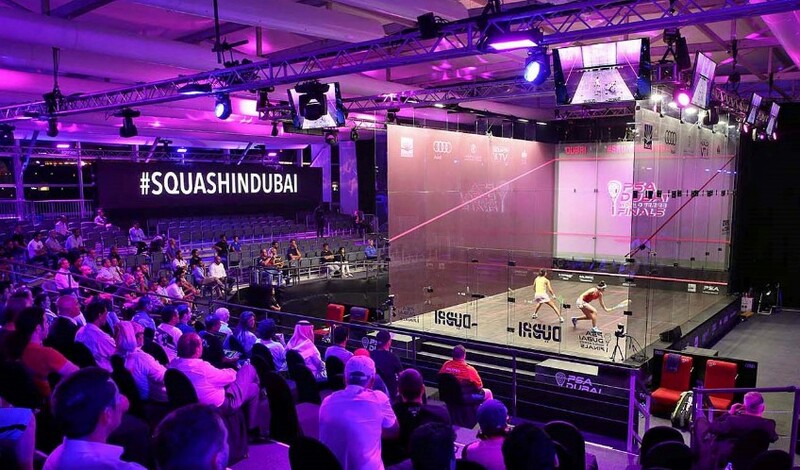 Having only qualified for the tournament, which brings the top eight players on the Road To Dubai Standings together to compete for one of the sport’s most lucrative titles, by the skin of his teeth in eighth position, the hard-hitting man from Yamba took full advantage of the opportunity presented to him, playing in relaxed fashion to run out an 11-2, 11-7 winner and set up a last four meeting with World No.1 Mohamed ElShorbagy. 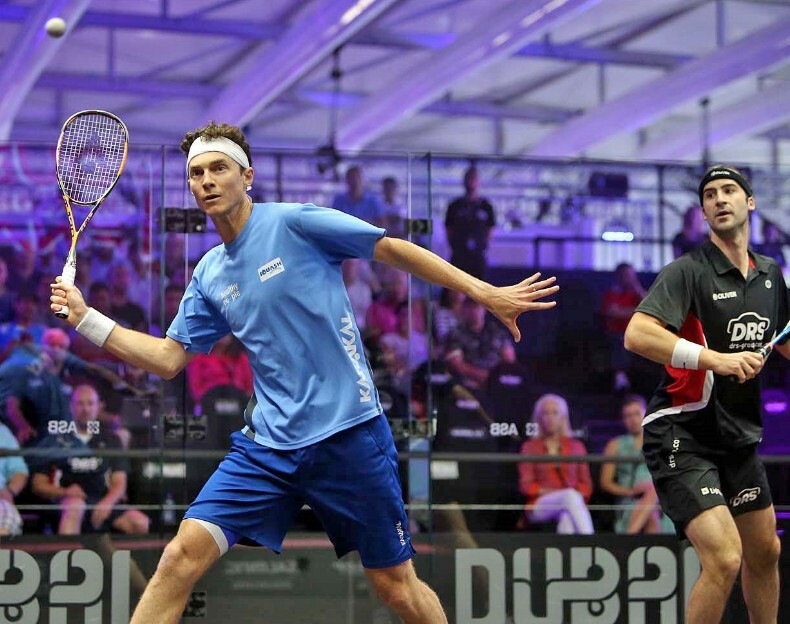 “It’s an understatement to say I’m feeling pretty good right now – considering that I just scraped in to this tournament and it’s my first World Series Finals, I am over the moon to be in the semi-finals,” said Pilley. “The likes of Palmer and (Anthony) Ricketts have done well in this event and I’m thrilled to follow in their footsteps and fly the Australian flag, to a certain extent, and I’d be over the moon to get a win tomorrow but I have to be delighted with how I played so far. While Pilley will face ElShorbay, who lost a dead-rubber encounter with Nick Matthew, the second semi-final will see World Champion Gregory Gaultier take on Colombia’s Miguel Angel Rodriguez – the first South American ever to appear in the tournament’s semi-finals. 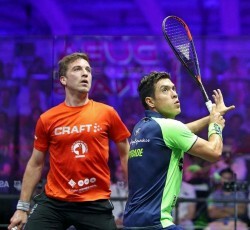 Rodriguez came through after opponent Mathieu Castagnet was forced to concede their encounter with injury after a brutal game and a half. “That was a thrilling fist game and it was very important to play the second different tactically but I have no words now,” said Rodriguez. “Mathieu had an amazing season and I know he achieved a dream by playing here – it was the first time in the World Series for both of us but I hope he is ok. In the women’s tournament Malaysian Nicol David kept alive her hopes of winning the competition for a third time after defeating World Junior Champion Nouran Gohar 2-0 to go through in second place in Group A.
David required just one game to join group winner Laura Massaro in the semi-final and duly delivered as she played with intent from the opening exchanges, scampering around court with ease to take the match and set up a semi-final with Raneem El Welily – the World No.3 who topped Group B. 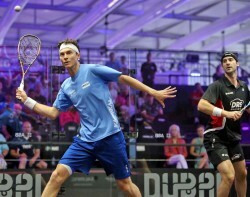 “This win meant a lot to me,” said David, who won the 2011 and 2012 iterations of the tournament. “If you want to make the semi-finals you have to beat everybody else so I wasn’t thinking about winning one game, I was just focused on winning the match. 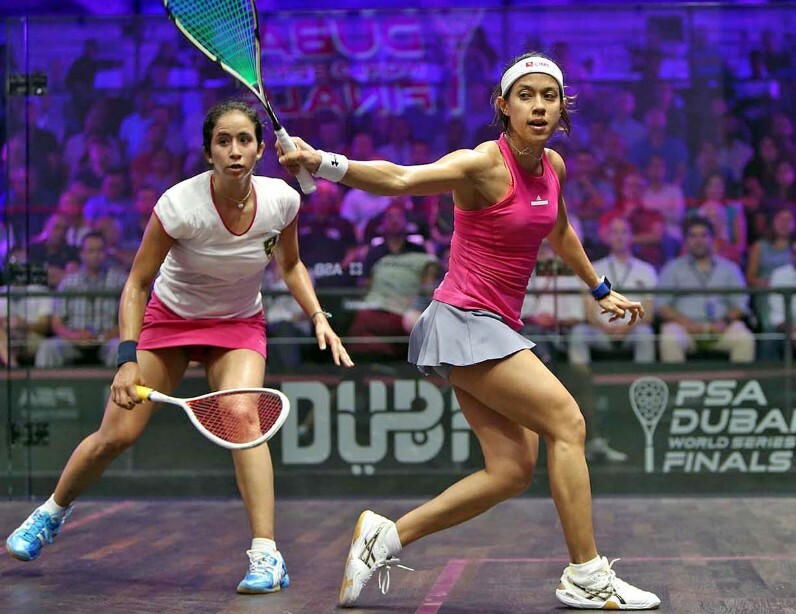 “Nouran is fast and furious so I had to try and impose my pace and was pleased to get the points when it mattered. She’s feisty and kept coming back so I’m really pleased to win 2-0 as that second game could have gone ether way in the end. 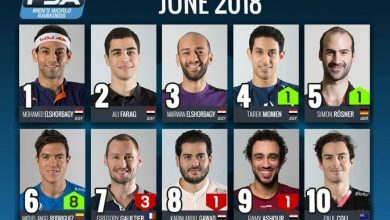 The second semi-final will see Massaro and Nour El Sherbini locks horns just weeks after contesting the PSA Women’s World Championship Final – which El Sherbini won in a thrilling five-game battle to become the youngest World Champion ever.